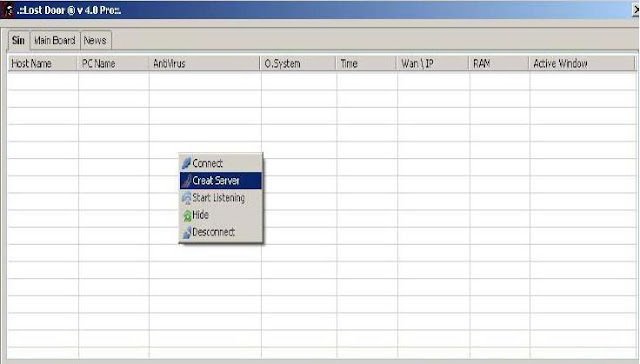 Remote Administration tools also known as RAT are windows Trojans or in simple terms programs used by a Hacker to get administrative privileges on the victim’s computer. Using a RAT you can do a lot of cool things such as “Upload, delete or modify data” , “Edit registry”, “Capture victim’s screen shot”, “Take control of victim’s Computer”or “Execute a virus” just with a click of a button. Throughout this article I will teach you how to use Lost Door, a Windows RAT, to control and monitor a victim’s computer remotely. 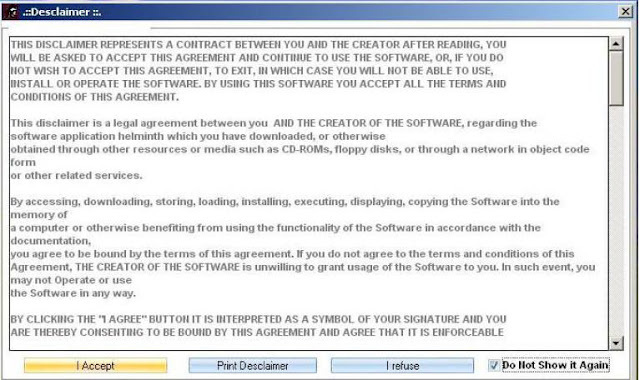 Disclaimer: Coder and related sites are not responsible for any abuse done using this software. 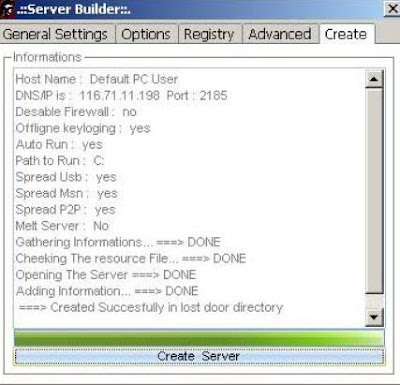 Follow the steps below to setup a server for Lost Door. Now enter your IP address and DNS here. Leave the rest of the field as it is. Now click on the ‘Options’ tab and choose the options as you want. 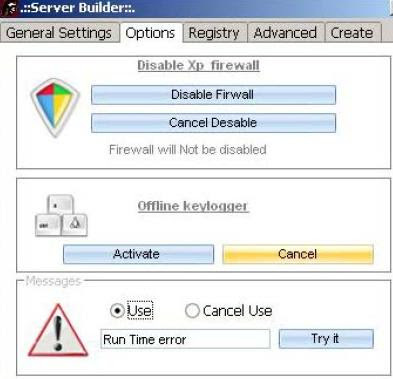 To activate an offline keylogger is a good practice. Now go to ‘Advanced’ Tab. There will options related to spreading. This will be used in case you have more than 1 victim. Now just go to the ‘Create’ tab and click on create server. Your server is ready for use now and now send it to the victim. This is the most important thing after you have created your server file. If you want to take control on a single computer than you have to send this server file to the desired victim but if you want to affect more and more people than you have to use some spreading techniques. If you have physical access to the victim’s computer then take the server file in a pen drive and just double click on your server file once you have injected the pen drive into that computer. For those who don’t have physical access can use social engineering in order to get the victim execute that file on his computer. If you have more than one victim, then you have an option of using spreading technique. You might think that by creating multiple server files you can control multiple users. But here is a secret about spreading. When you select the spreading option, the server file will act as a worm which will spread itself across different computers via Email or any other channel. So your burden will be only to get one victim to execute that file on his computer, the remaining job of getting other victims will be done on its own.